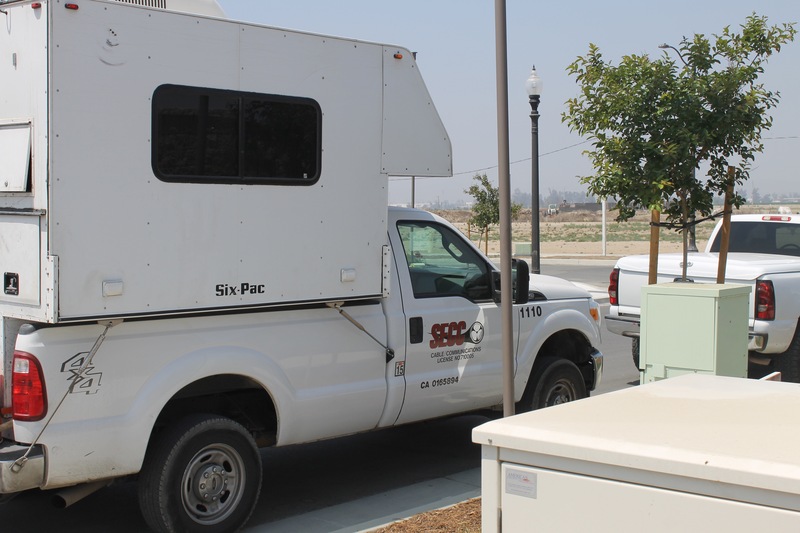 In 1995, SECC Corporation was founded on the mission to build & maintain the Southern California wireline market. With the spike in demand for communications bandwidth in the early 2000’s, we were positioned perfectly to meet these needs. With the support of our former partners to establish our foundation, we were able to expand our footprint quickly in the early years. Working closely with other like-minded local contractors, we proved ourselves to be a critical member of the communications industry. Although we started in 1995 strictly performing construction, we expanded into the engineering of communication systems. Controlling all phases of implementation has allowed us to better service our clients. 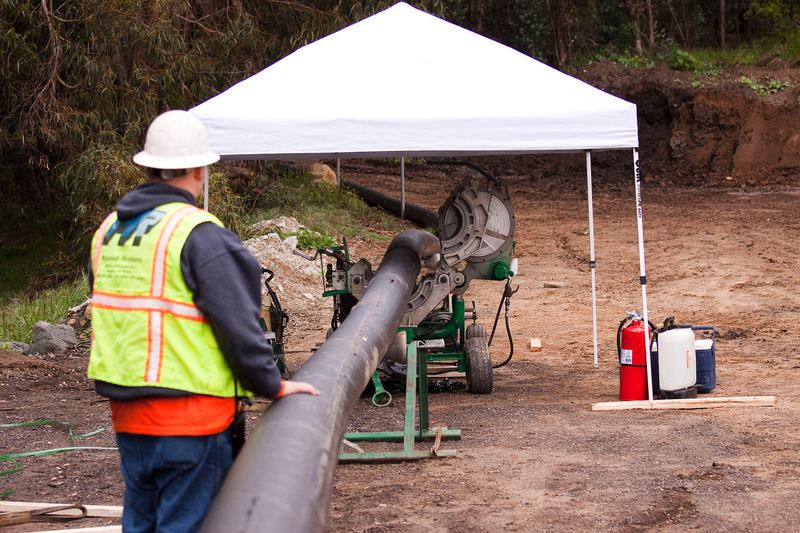 We have established ourselves as a reliable full-service contractor offering all phases of OSP turnkey operations. We serve the primary telecommunication companies and provide the support necessary to sustain the evolving needs of their customers. 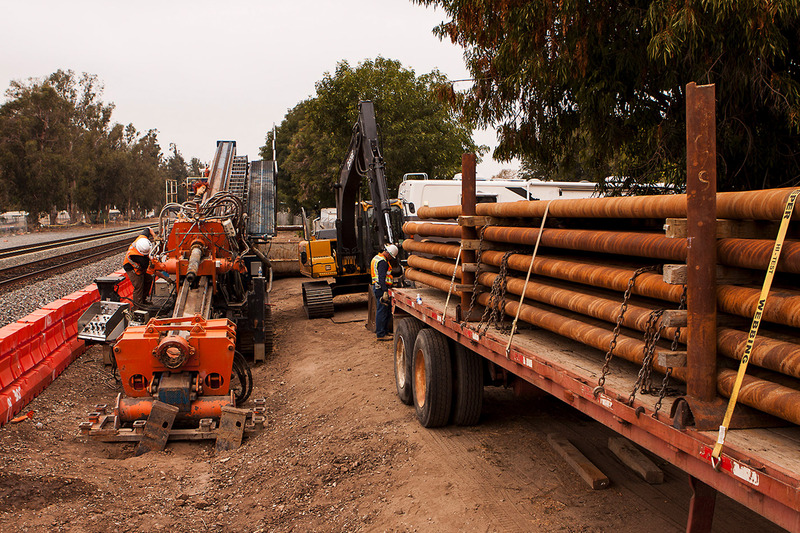 Although the majority of our work is performed in California, we are licensed in Nevada, Arizona & Oregon. We were certified as Minority Business Enterprise (MBE) back in 2007 & recently certified as a Small Business Enterprise (SBE) in 2017. 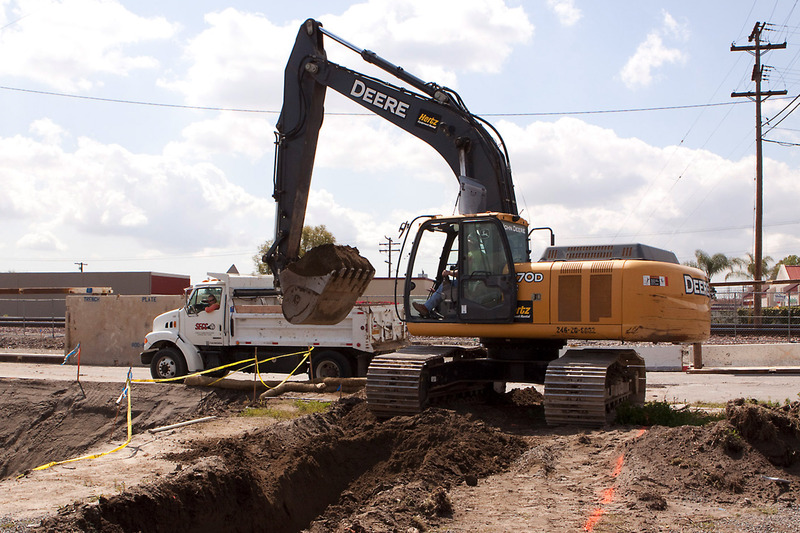 Our main focus is outside plant utility construction and engineering. 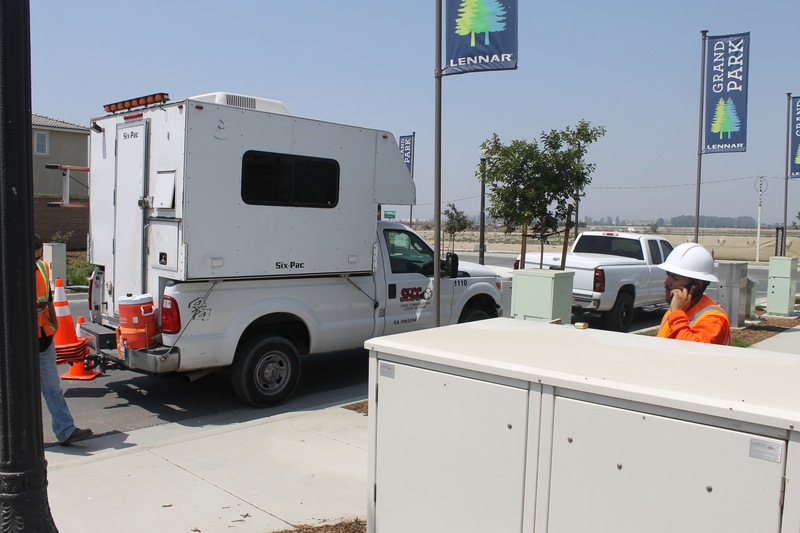 Our corporate office is located in Chino, California. 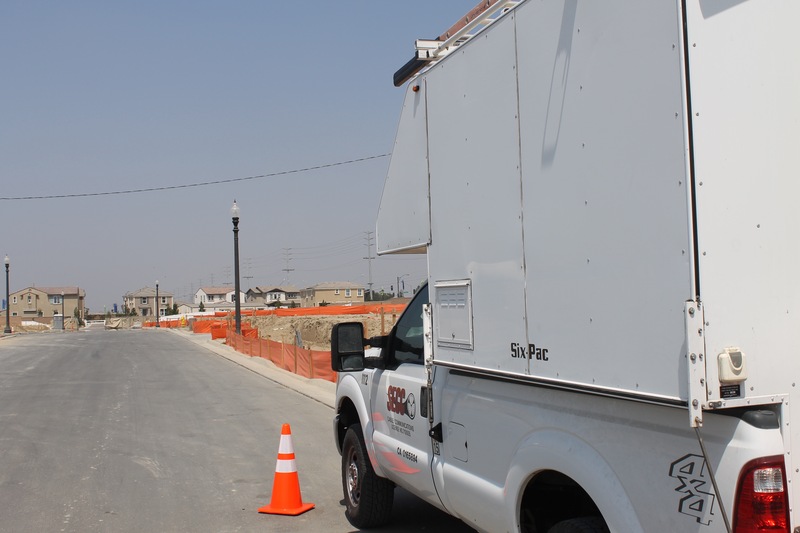 We also operate satellite offices in Mentone, Simi Valley, Victorville, and Santa Maria, California. 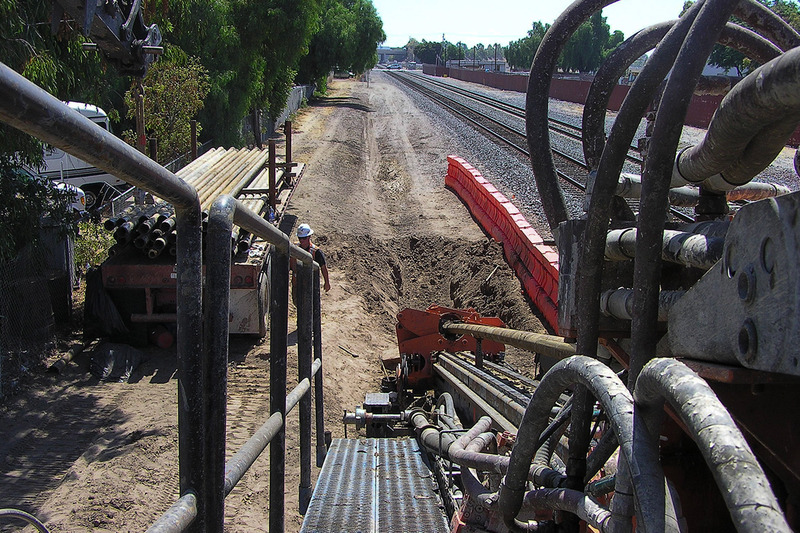 We have the capability to perform as a prime contractor and to self-perform major elements of construction projects. We are proud of our exemplary safety record and have many programs in place to maintain our safe and efficient workforce. All aspects of FTTP construction. If you have any questions on the above services or on a service you do not see listed, please call our corporate office at (909)393-5419. Every day we strive towards ensuring all employees return home safely. Safety is ingrained in our culture & with the help of our management team, we will continue to improve our safety performance. Our core values are centered around the condition & health of our employees. Working side by side with highly experienced construction safety professionals has proven to be a major step in educating our workforce. 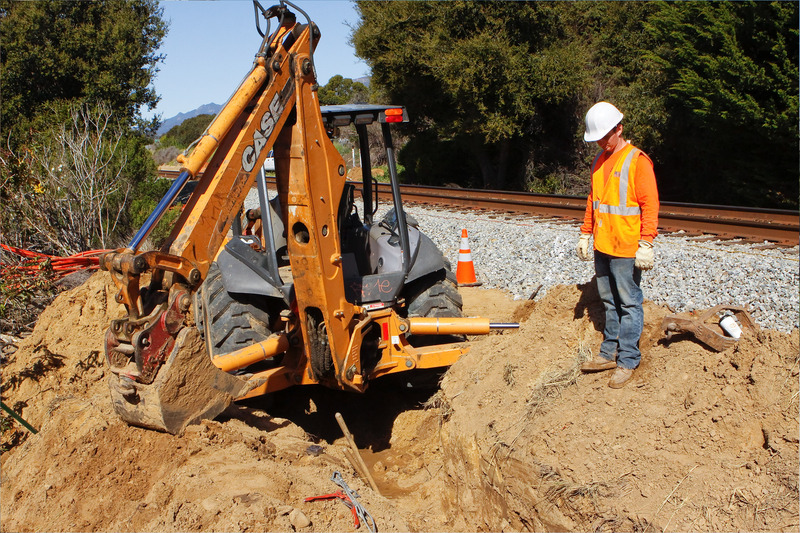 Providing each and every employee with the right tools & resources is critical to our continued safety success. 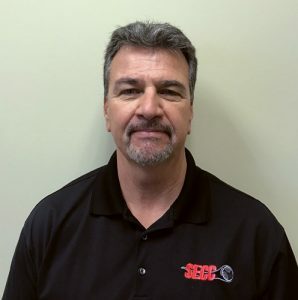 If you have any questions on our safety programs please contact our Safety Manager, Tony Nichols, for more information at tony@secc-corp.com. 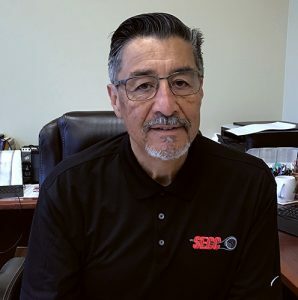 SECC Corporation has a dynamic workforce with opportunities expanding throughout Southern California. 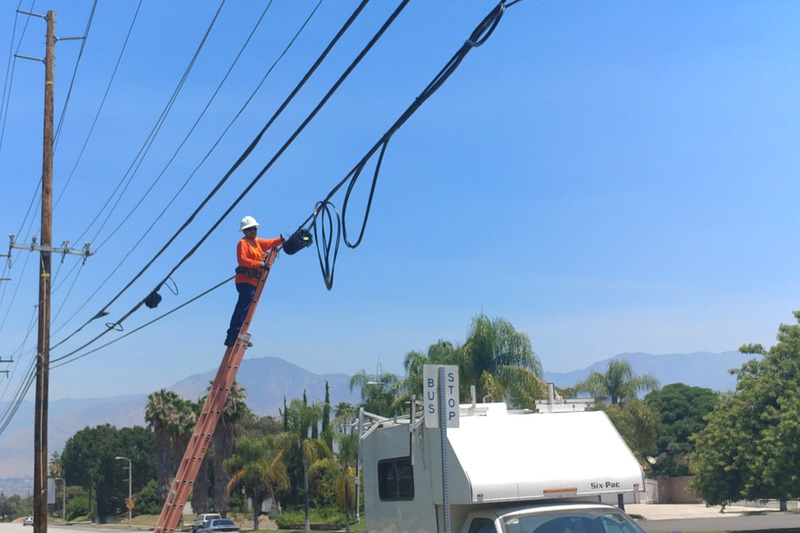 Our employees define who we are & have helped us become one of the most reputable telecommunication contractors in Southern California. 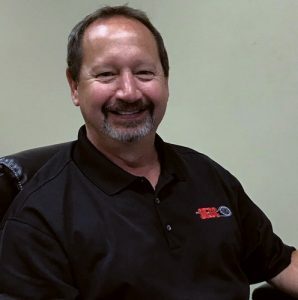 We invest in our employees and provide the necessary training to ensure constant professional improvements. 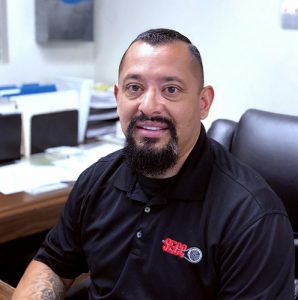 Whether it’s designing, project managing or providing maintenance services, we have the tools to help our employees succeed. See below more information on available opportunities here at SECC. If you’re interested in joining the team, please complete the application & if you have any questions please contact Michelle@secc-corp.com. This position is responsible for installing and maintaining communication services, facilities, and products in assigned work areas for SECC customers. 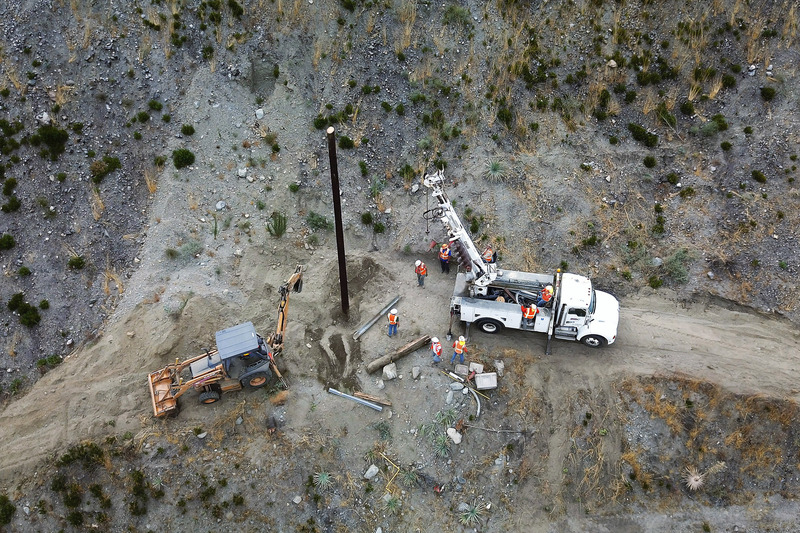 Sets and removes poles in accordance with company safety policy and procedures. 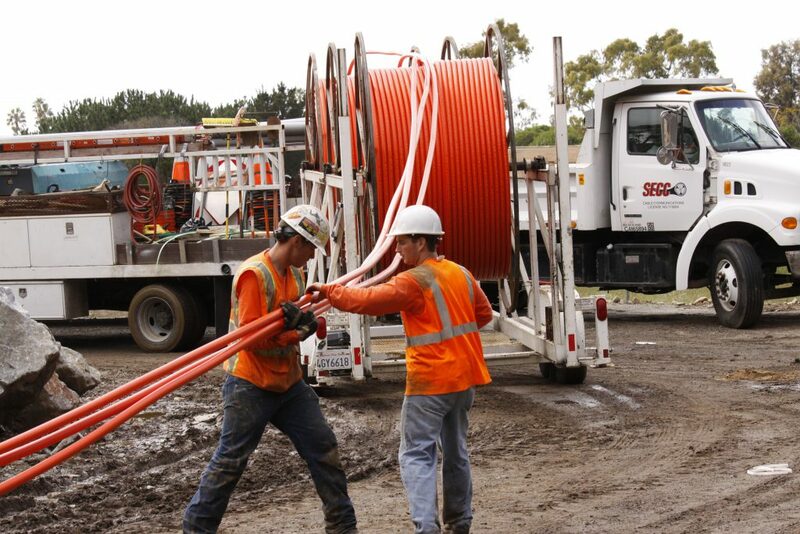 Places and removes strand and cables in aerial, buried, and underground facilities. 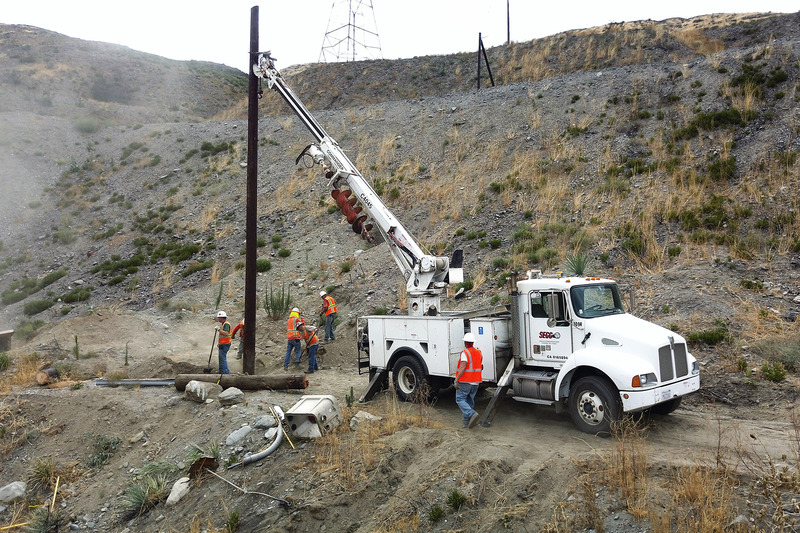 Utilizes necessary equipment including augers, aerial lift trucks, cable and pole dollies, chain saws, cable pullers and Hogg Davis winches to complete assigned jobs. 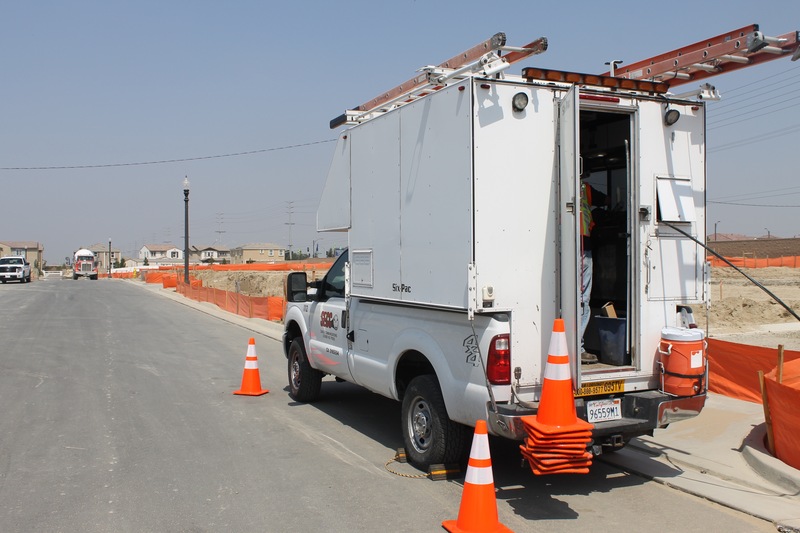 Performs routine maintenance, installs, changes, transfers cable and fiber, moves and removes poles, pole line hardware, guys, anchors. Provides information to supervisors, co-workers, and subordinates by telephone, in written form, email, or in person. 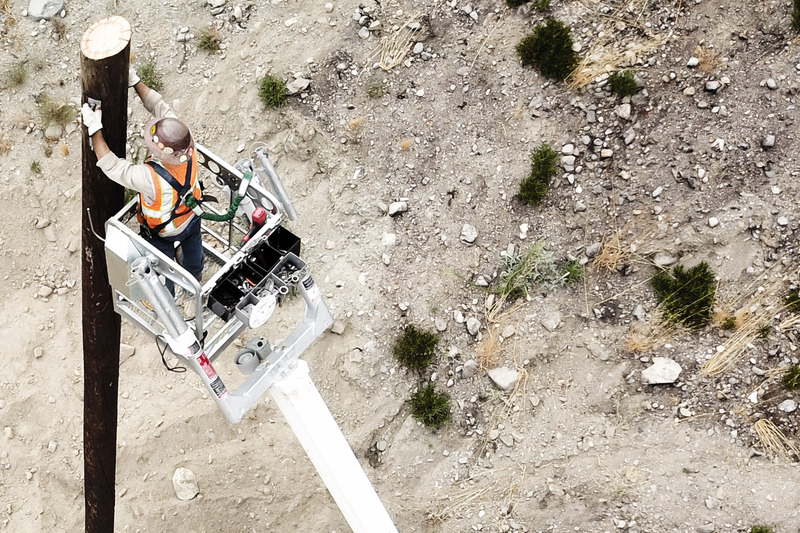 Utilizes safe climbing practices to work off poles or from a bucket truck. 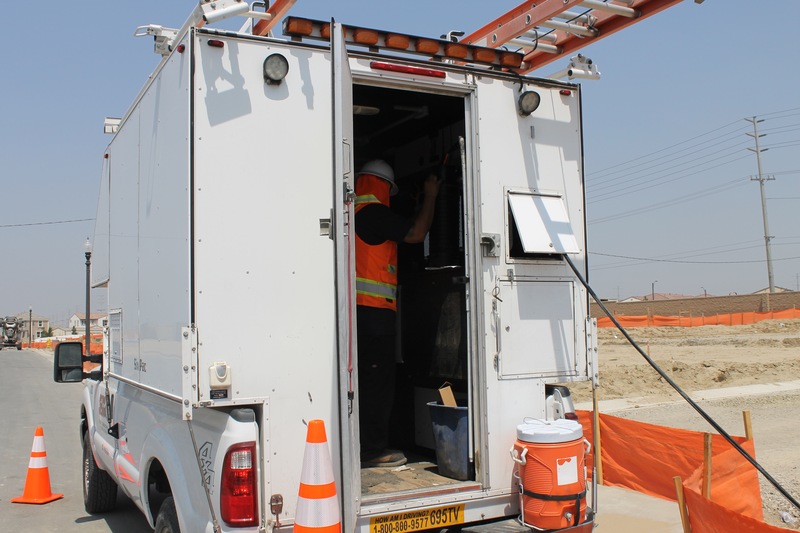 Works with utility inspectors and company representatives to coordinate the completion of work. Completes all forms, reports and documents required in a timely fashion. 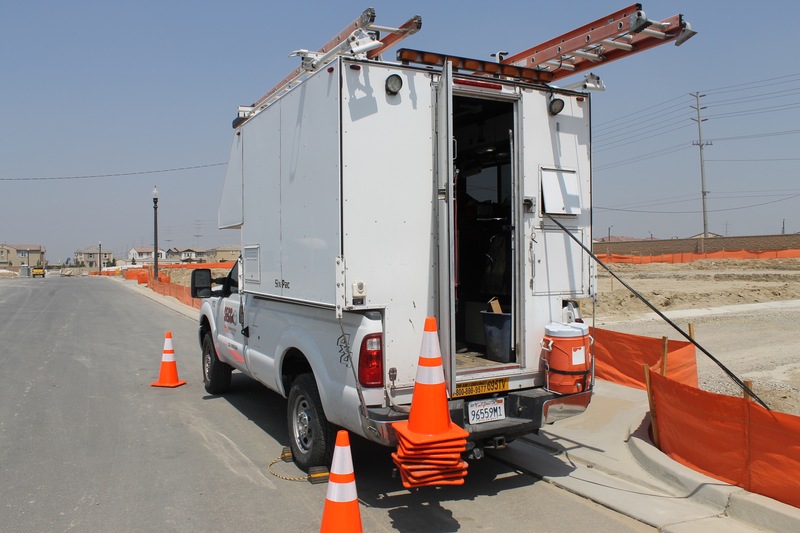 Comfortable working in confined spaces and ascending/descending utility poles. 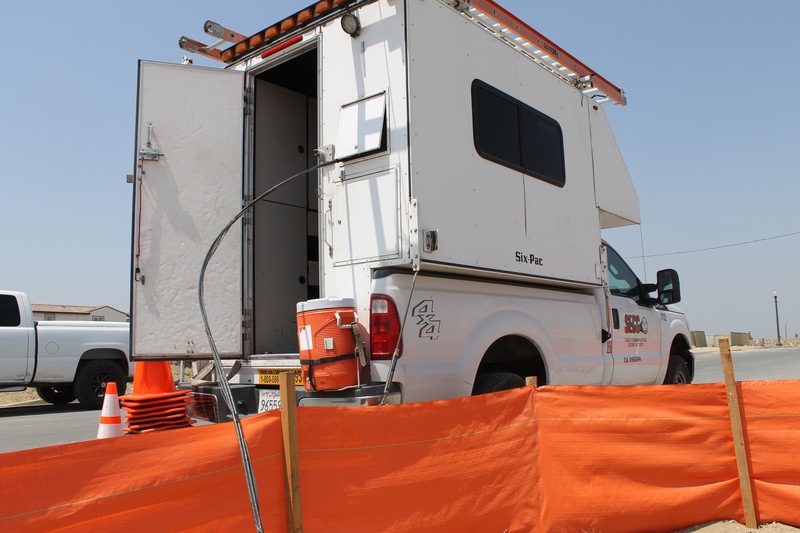 Knowledgeable of gas testing and ventilation procedures for confined spaces. Ability to perform strenuous physical labor under all types of conditions. 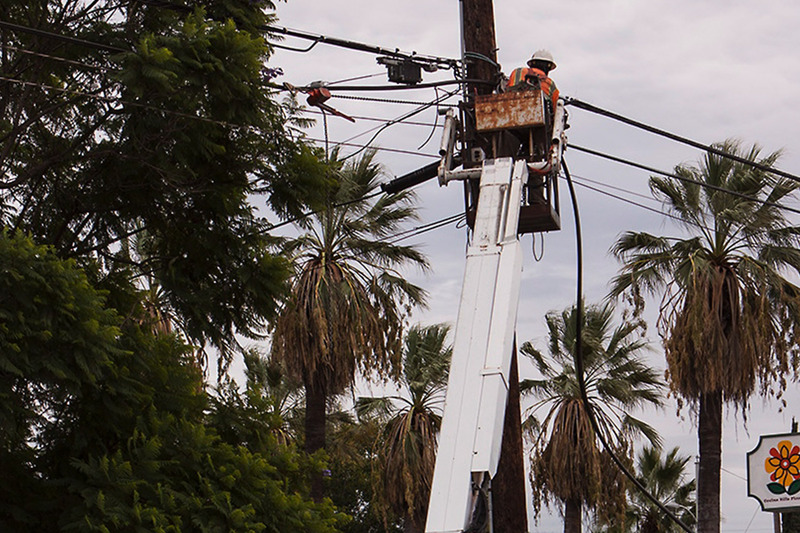 Experience with bucket trucks, diggers, and any other equipment involved in utility line work. The ability to communicate in person, via telephone, and in writing. Must be committed to working safely. Work Environment This job operates outside in a field construction environment. 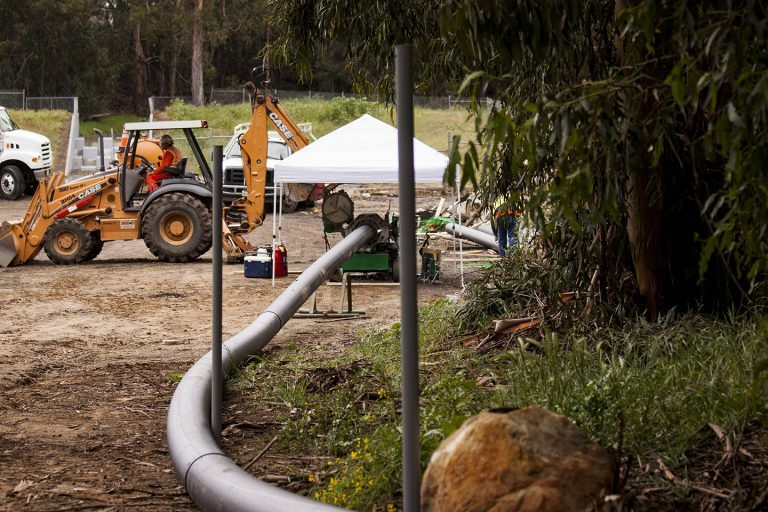 Work is performed outside of buildings and may include running cable underground. 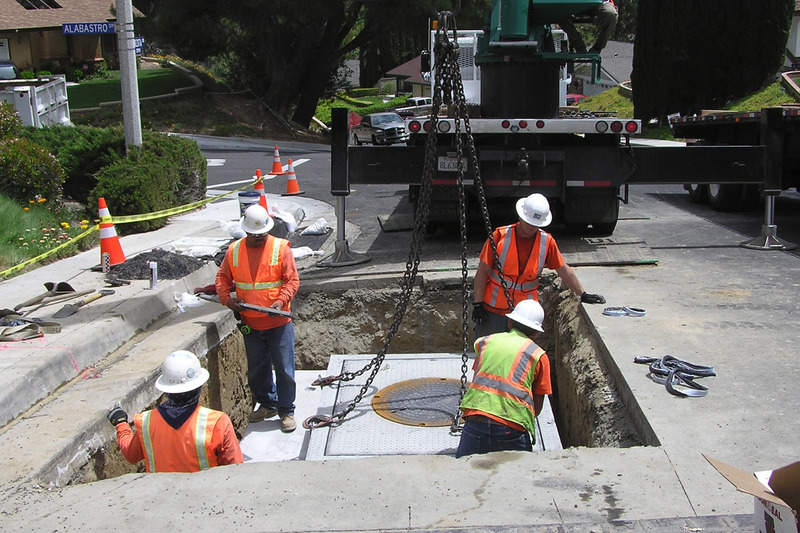 The job requires entering manholesorclimbing poles to place and/or remove cables. Appropriate personal protective equipment is required. Physical Demands This job has specific physical requirements detailed on the attached Physical Demands Checklist. Position Type and Expected Hours of Work This is a full-time position with the opportunity for overtime. Due to the nature of our business, there will be occasions that require working after normal business hours including nights and weekends. 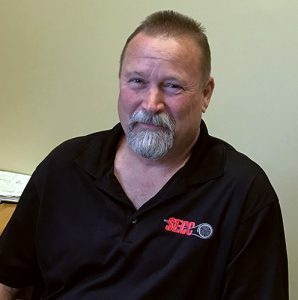 Required Qualifications Valid CA Commercial Driver License (Class A) Valid Class A Medical Certification Desired Minimum Qualifications Graduation from High School or GED Equivalent 1 year experience or any equivalent combination of education and experience that demonstrates the ability to do the job. Other Duties Please note this job description is not designed to cover or contain a comprehensive listing of activities, duties or responsibilities that are required of the employee for this job. Duties, responsibilities and activities may change at any time with or without notice. 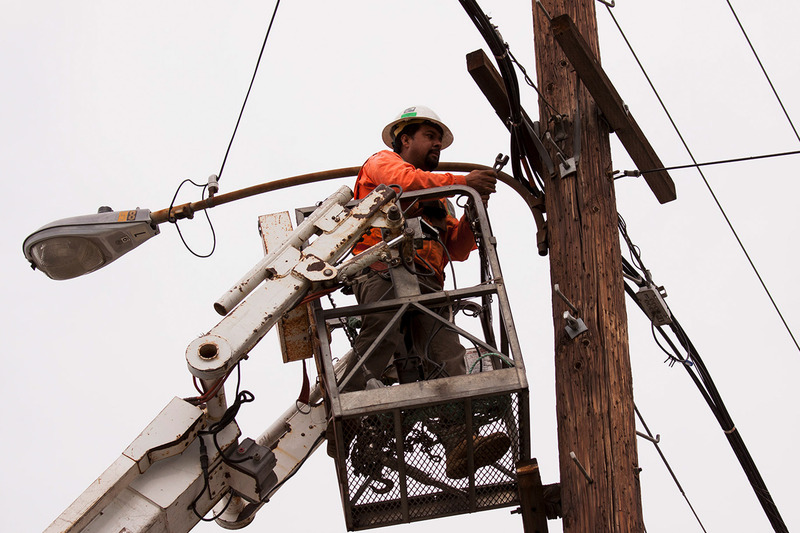 This position is responsible for installing, maintaining, and repairing services for SECC customers through work on utility poles, platforms and aerial ladders, in manholes or in basements of buildings. Interprets construction prints and splices cables from end to end and terminates at both ends (backbone or laterals). 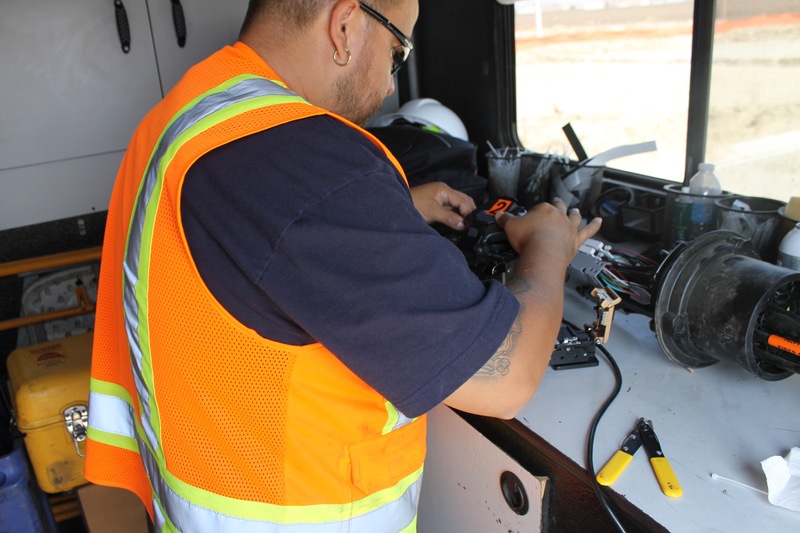 Performs acceptance testing and documentation of newly installed cable. 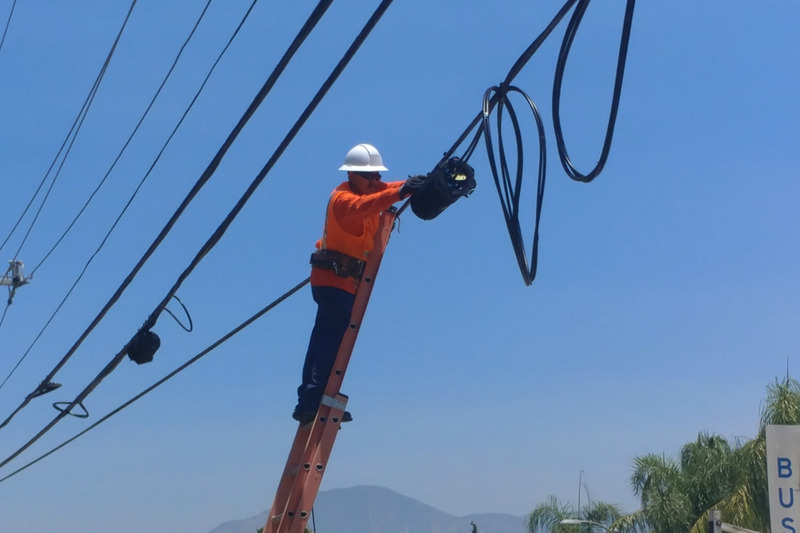 Performs cutovers of cable due to defects or to rerouting requirements without service interruptions. 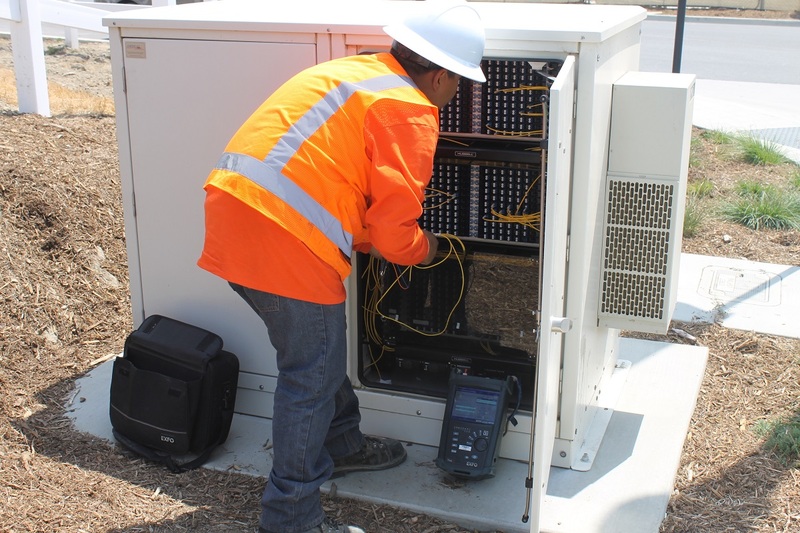 Positions weather proof closures and perform flash testing to ensure proper seals. 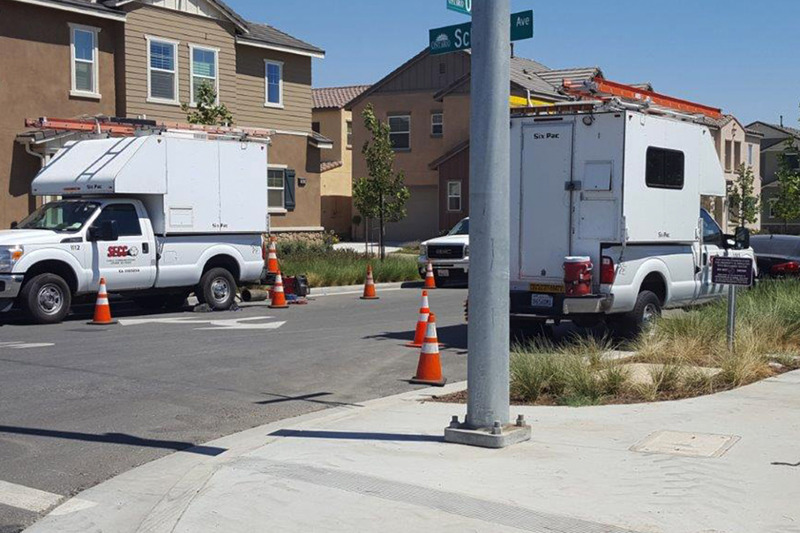 Updates customers of entry to private properties to access cable facilities. Notifies customer representatives and/or customer inspectors of any road blocks or problems that may occur. 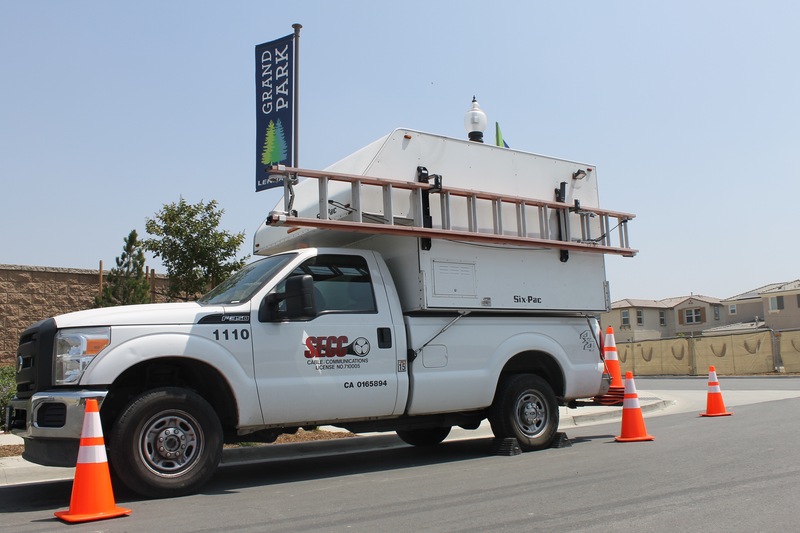 Sets up traffic control when necessary according to local and state requirements. 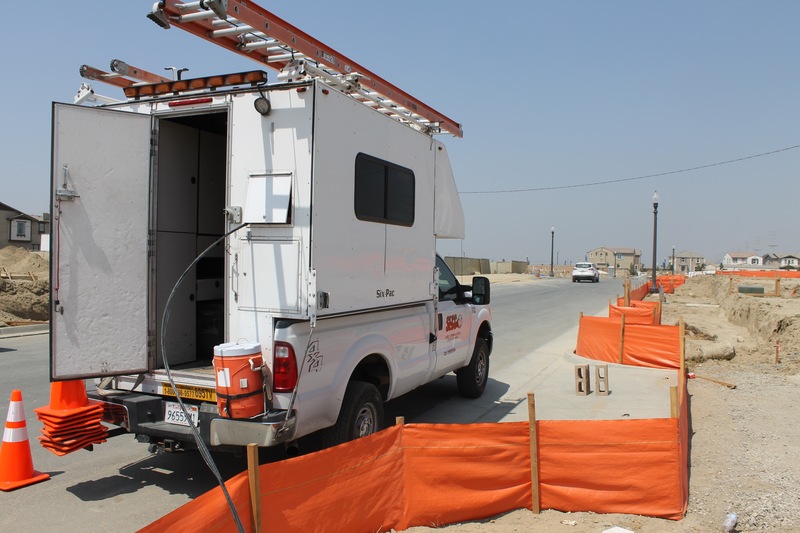 Uses appropriate equipment to test aerial cable and strand for foreign voltage and water for high pollution levels prior to pumping. 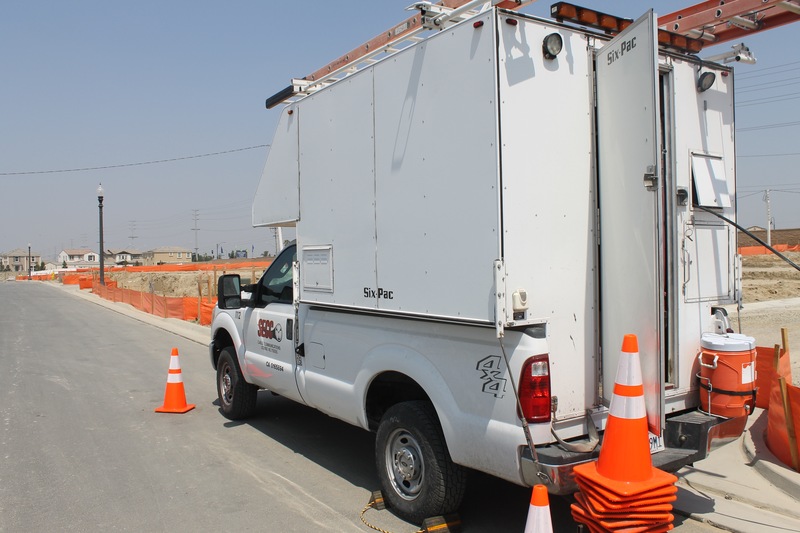 Understands pressurized and non-pressurized splicing procedures of copper cable. Capable of using industry specific test equipment including TDR, OTDR, and Throwmasters. 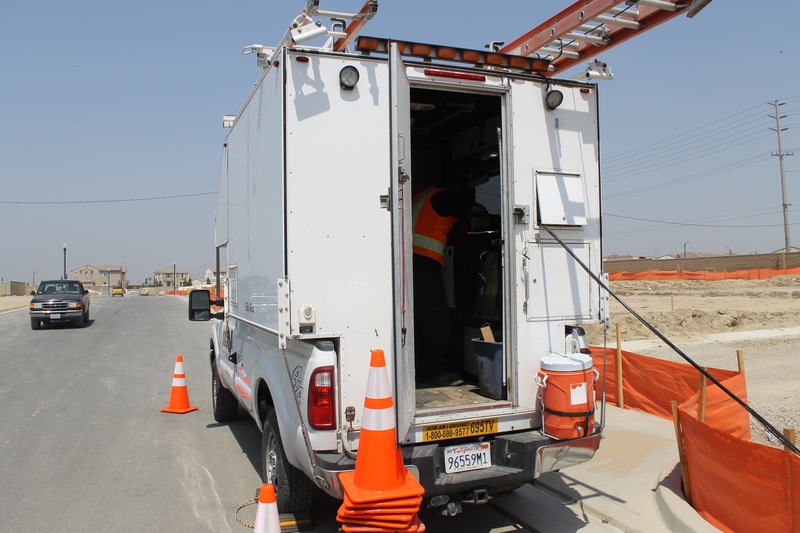 Comfortable working in confined spaces and ascending/descending ladders and utility poles. Familiar with the proper types of material required for different customers. Ability to lift 50 pounds and carry, maneuver, and set up a 28 foot extension ladder. Ability to work in various types of weather environments. Work Environment This job operates outside in a field construction environment. 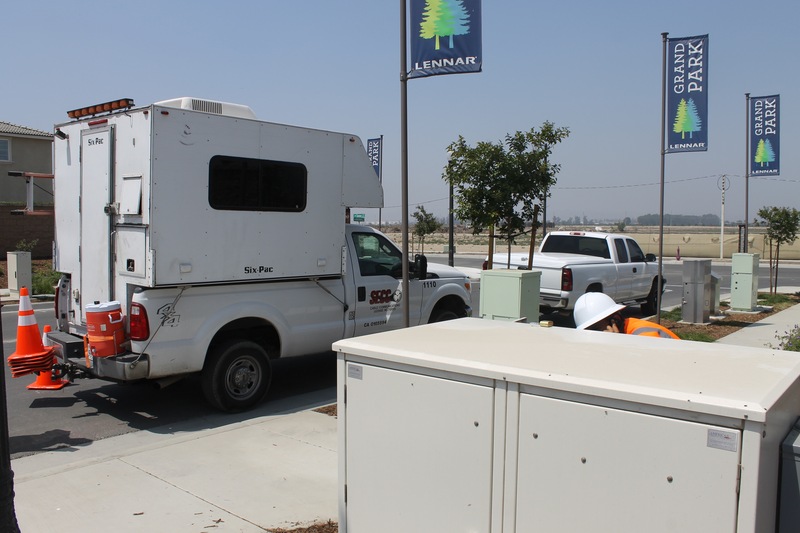 Work is performed outside of buildings and may include running cable underground. 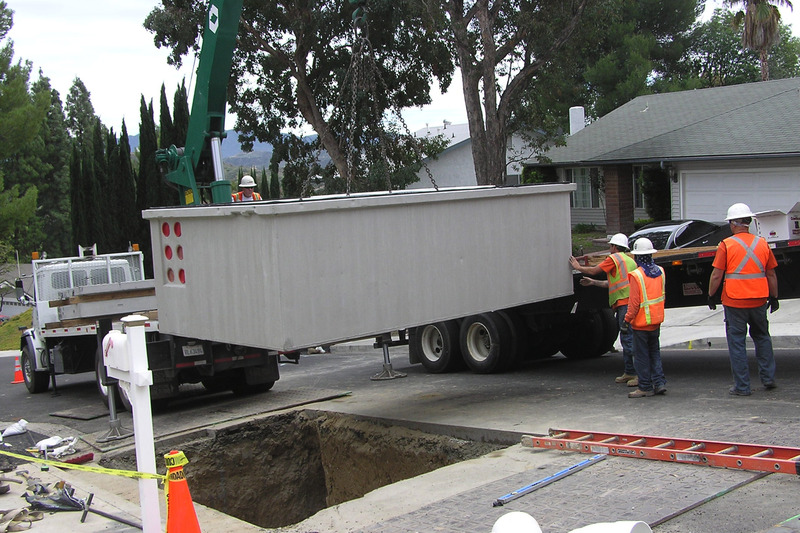 The job may require entering manholes or climbing poles to install cables. Appropriate personal protective equipment is required. Physical Demands This job has specific physical requirements detailed on the attached Physical Demands Checklist. Position Type and Expected Hours of Work This is a full-time position with the opportunity for overtime. Due to the nature of our business, there will be occasions that require working after normal business hours including nights and weekends. Desired Minimum Qualifications Graduation from High School or GED Equivalent Valid CA Driver License 1 year experience or any equivalent combination of education and experience that demonstrates the ability to do the job. Other Duties Please note this job description is not designed to cover or contain a comprehensive listing of activities, duties or responsibilities that are required of the employee for this job. Duties, responsibilities and activities may change at any time with or without notice. 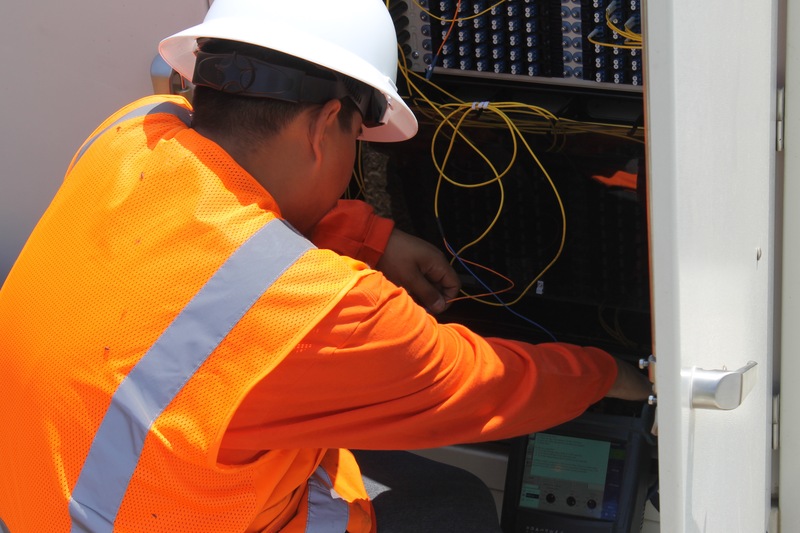 This position is responsible for installing, terminating, fusion splicing, testing and labeling fiber optic strands and cables. 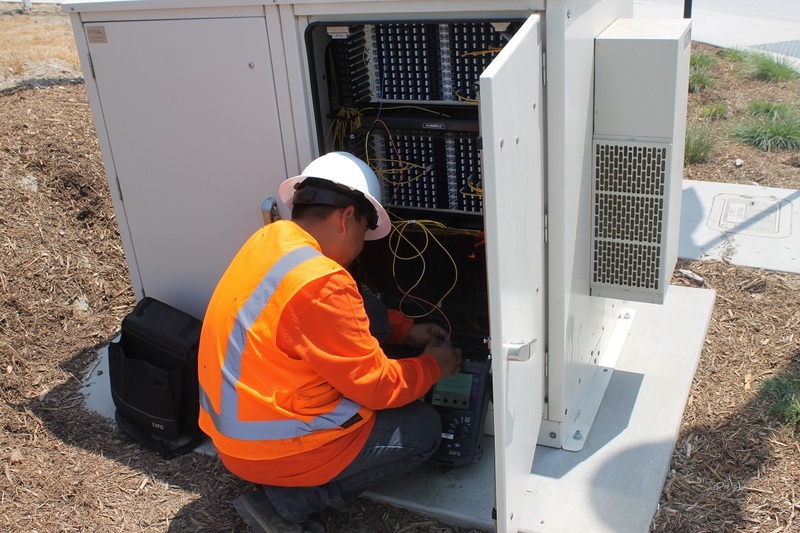 Communicates and coordinates with local telephone company and other suppliers for installation and repair of fiber optic facilities and systems. 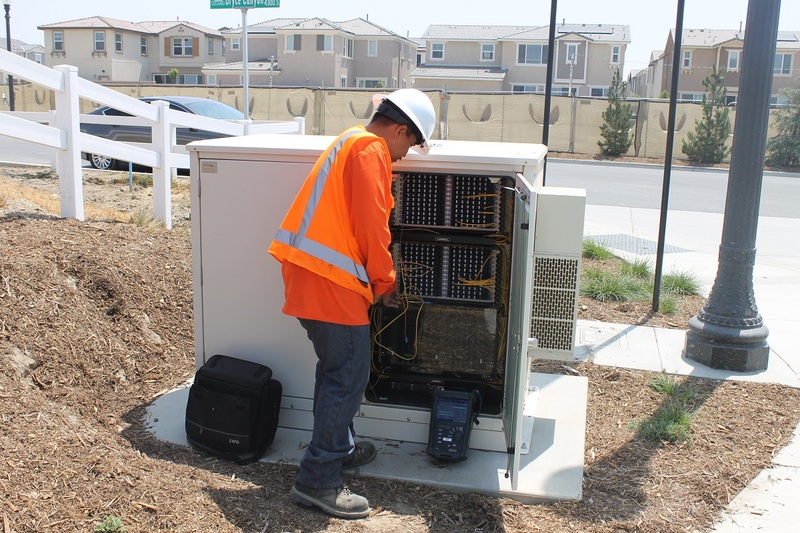 Assembles, installs and tests fiber optics transmission systems at a given job site location. 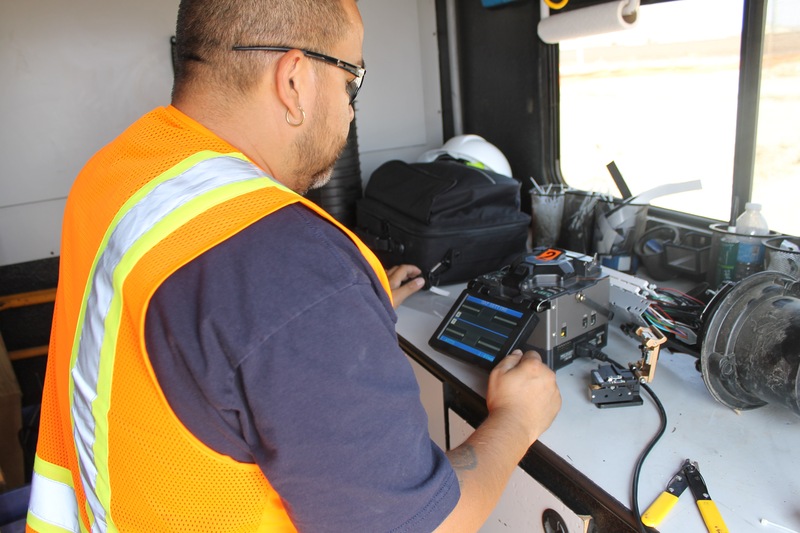 Transports materials to the job site and evaluates the area to determine the best possible method to install the fiber optic cable. 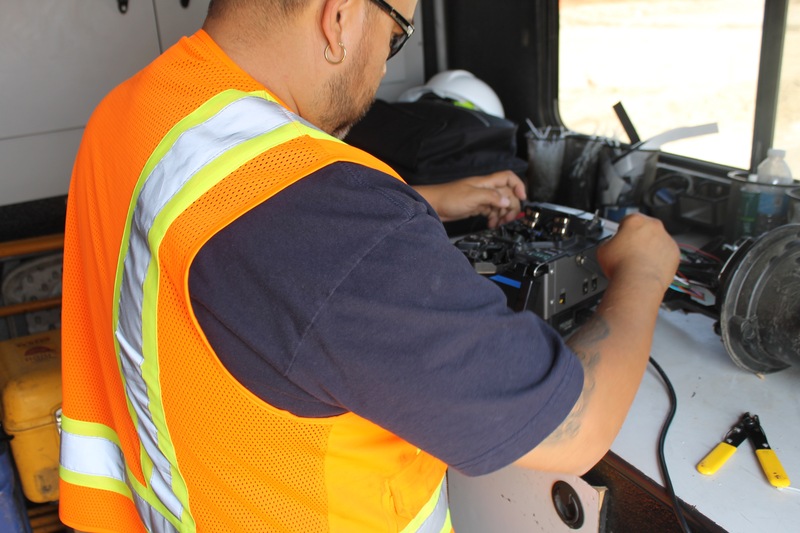 Troubleshoots and checks certain problems and errors then conducts the necessary repair and maintenance in order for the cables to function normally again. Replaces cables and wires when deemed necessary. Establishes and maintains circuit layout and documentation. The ability to troubleshoot and problem solve. 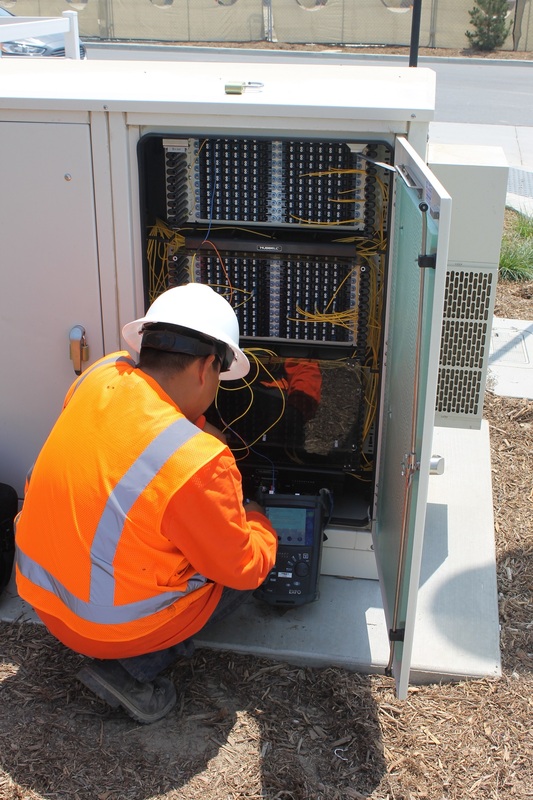 Working knowledgeof proper tools for working with fiber optic cabling and fiber connections. 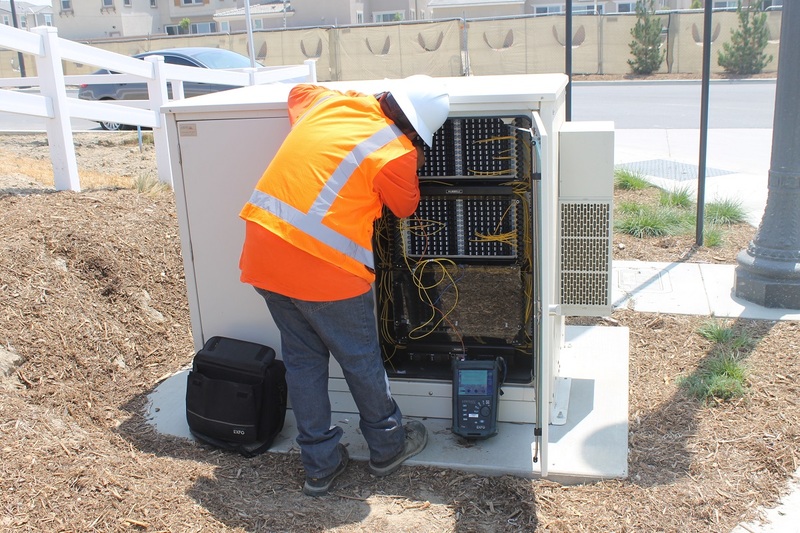 Strong knowledge of how to set up and use fiber optic test equipment. The ability to use locating equipment. installation, testingor repair services to SECC customers. 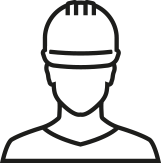 This position performs tasks involving physical labor at building, highway, and heavy construction projects. Loads and unloads job materials and tools from the vehicle and transports them throughout the work area. 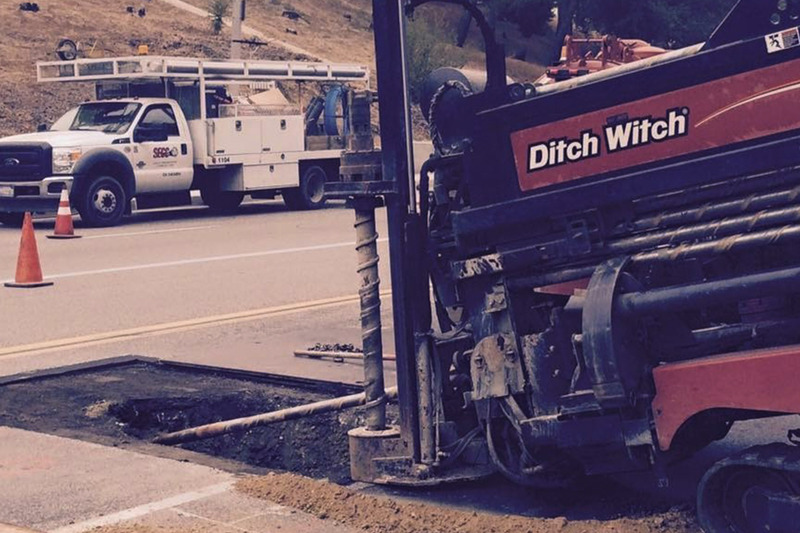 Operates jackhammers and drills to break up concrete and pavement. Shovels cement and other materials; mixes and pours concrete and asphalt. 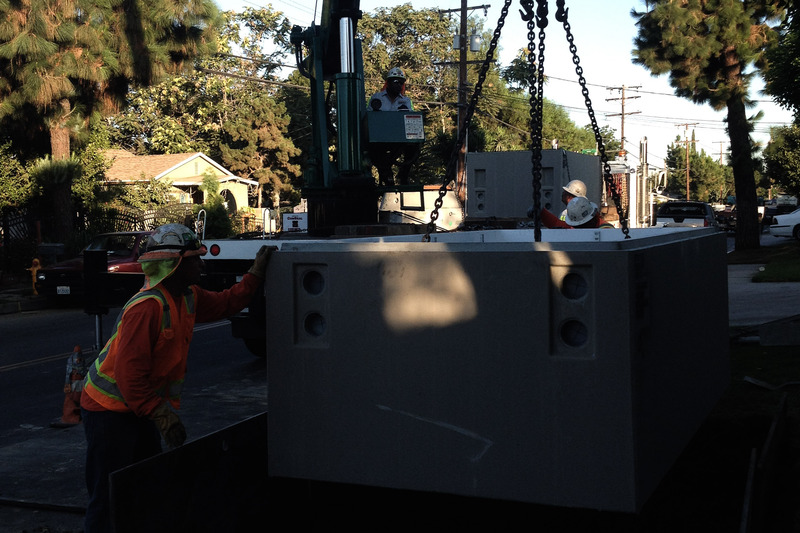 Tends to the pumps, compressors and generators to provide power for tools, machinery, and equipment. 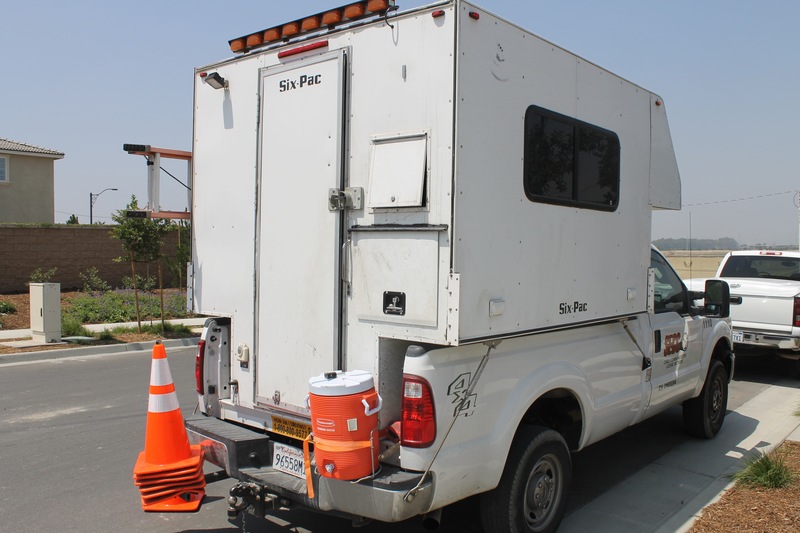 Operates, reads, and maintains air monitoring and other sampling devices in confined spaces. 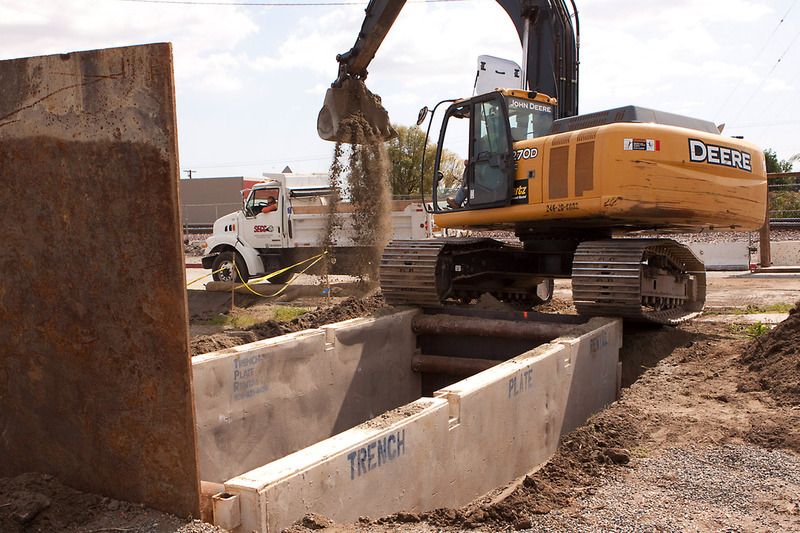 Digs ditches or trenches, backfills excavations, and level and compacts earth to grade specifications. 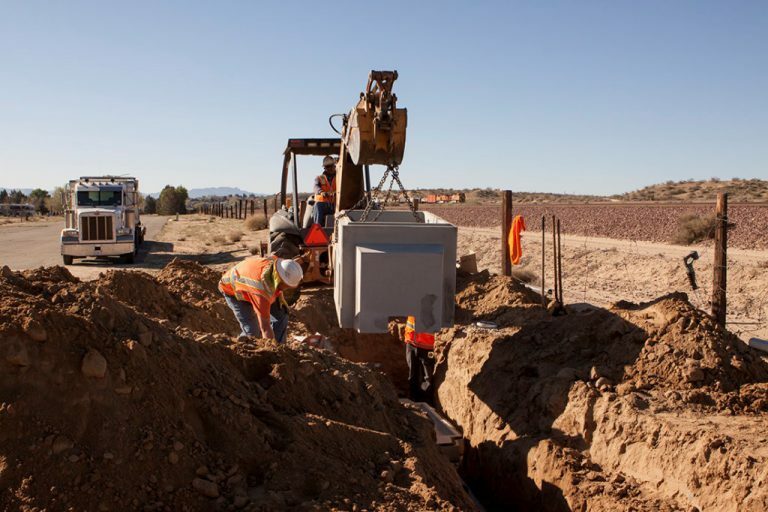 Sets up traffic control when necessary according to local and state requirements then controls traffic passing near, in, and around the work zones. Knowledge of proper operation and use of hand tools and equipment. Good communication skills and ability to take direction well. Work safely and follow company policies and procedures. Work Environment This job operates outside in a field construction environment and is physically demanding. 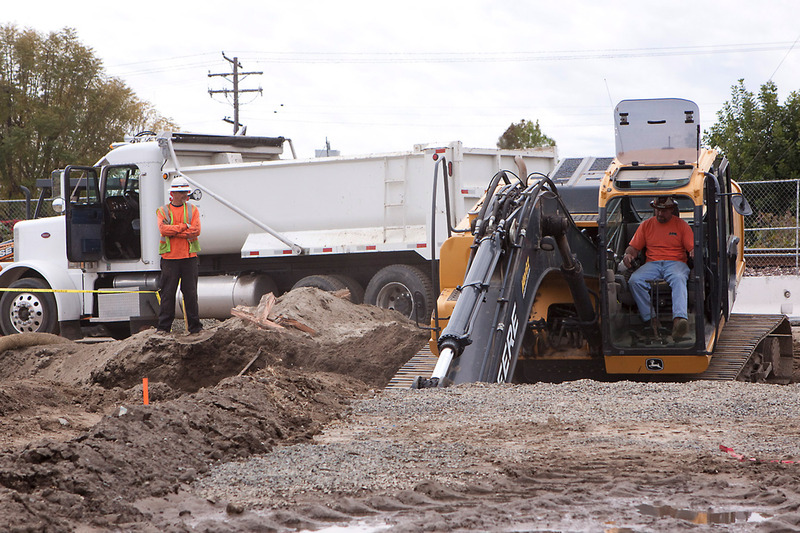 Work is performed outside of buildings and may include running cable underground. Appropriate personal protective equipment is required. Physical Demands This job has specific physical requirements detailed on the attached Physical Demands Checklist. Position Type and Expected Hours of Work This is a full-time position with the opportunity for overtime. Due to the nature of our business, there will be occasions that require working after normal business hours including nights and weekends. Other Duties Please note this job description is not designed to cover or contain a comprehensive listing of activities, duties or responsibilities that are required of the employee for this job. Duties, responsibilities and activities may change at any time with or without notice. 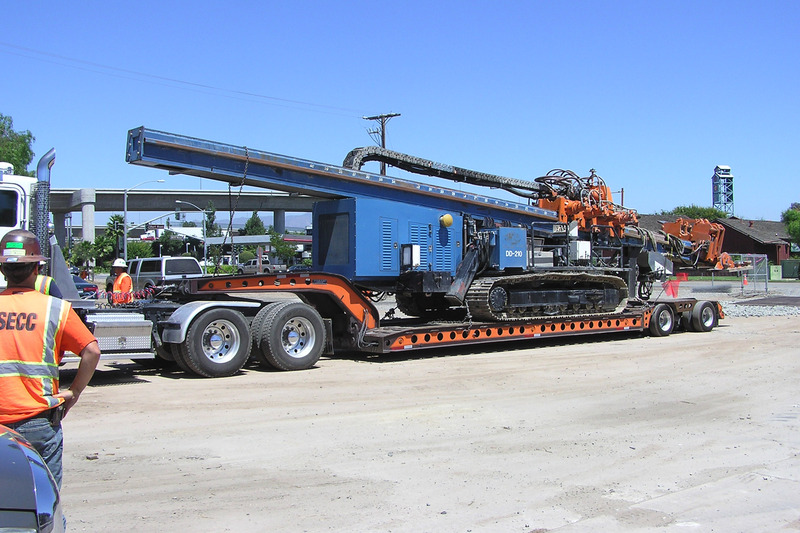 Looking for experienced heavy equipment operator for backhoes, bore machine. 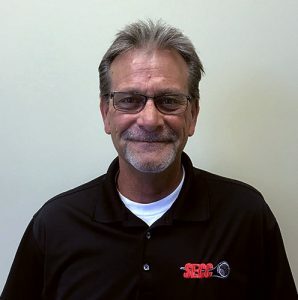 Must have experience digging around existing utilities. Must have a valid CA license and clean driving record. Reads blueprints and job specifications in order to lay out the job and assign tasks. Determines which tasks are assigned to each employee to ensure efficient completion of the project. Oversees and instructs the setup of traffic control according to local and state requirements. 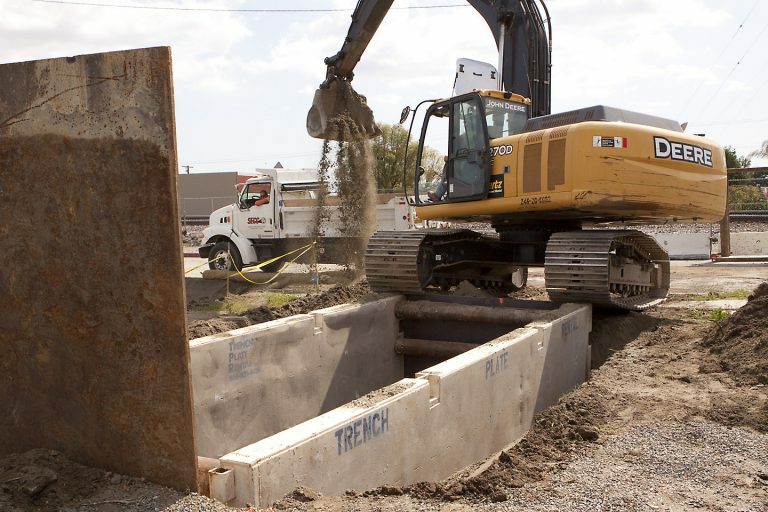 Ensures that all trenches are safe and shored if necessary. Inspects safety equipment, tools, machinery and vehicles to make certain they are in good condition and function properly. Orders materials for each job. Provides regular updates to the area manager regarding the progress of the job and the estimated time left to complete the work. Creates the asbuilts and completes daily timesheets detailing the work completed, employees on the job, and equipment used. Conducts regular tailgate safety meetings. Enforces all company safety policies and procedures. Safely and effectively drives and manipulates the bucket of a backhoe to trench, load dump trucks with spoil, and move steel plates. Properly follows company and OSHA safety procedures and brings problems to the attention of the Safety Manager. Follows daily procedures and protocols set forth in the description of the project. 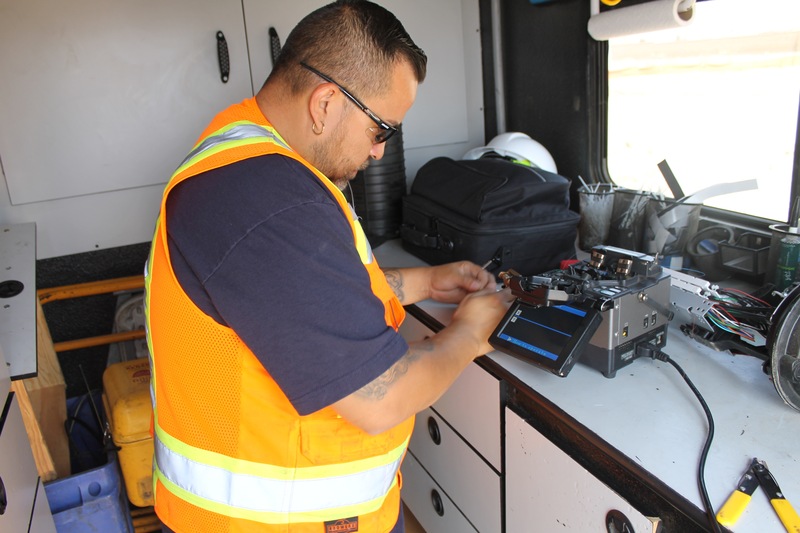 Performs routing inspections on equipment and reports findings to the supervisor. Plans and prioritizes work activities and uses time efficiently to complete projects. Ability to work as a team, provide direction to co-workers, and resolve conflict. equipment under varying working conditions. 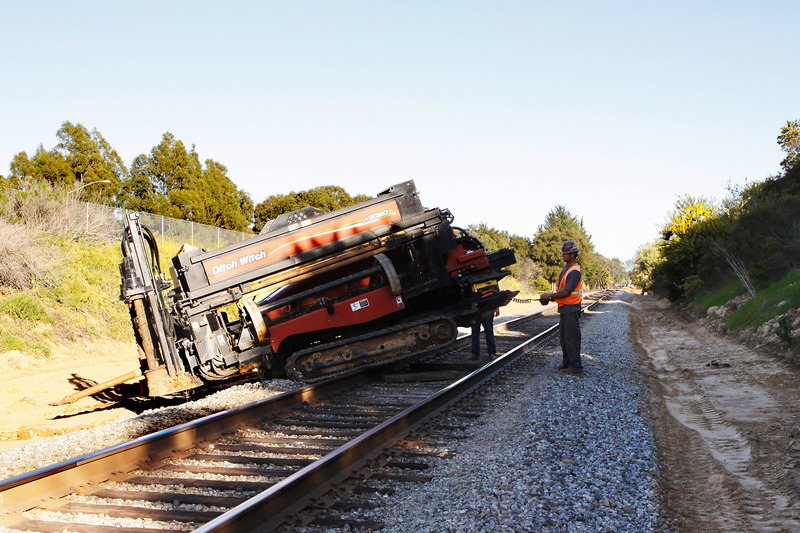 Working knowledge of hazards and safety precautions common to heavy equipment operations. 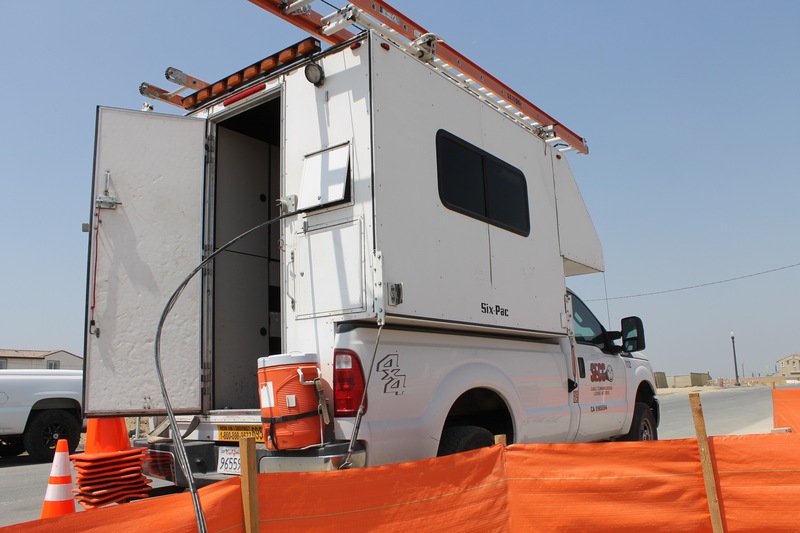 Work Environment This job operates outside in a field construction environment and is regularly exposed to outdoor weather conditions. The noise level may range from moderate to loud. 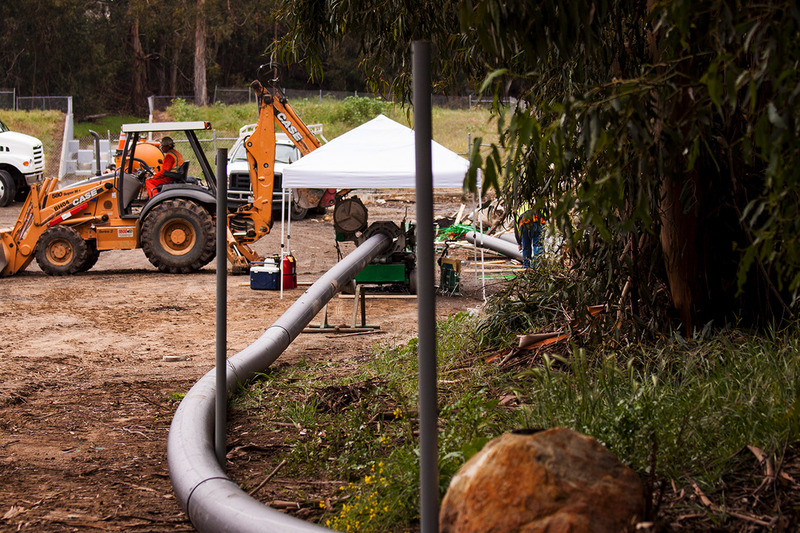 Work is performed outside of buildings and may include running cable underground. Appropriate personal protective equipment is required. Physical Demands This job has specific physical requirements detailed on the attached Physical Demands Checklist. Position Type and Expected Hours of Work This is a full-time position with the opportunity for overtime. Due to the nature of our business, there will be occasions that require working after normal business hours including nights and weekends. Desired Minimum Qualifications Graduation from High School or GED Equivalent Valid CA Driver License 1 year experience or any equivalent combination of education and experience that demonstrates the ability to do the job. Other Duties Please note this job description is not designed to cover or contain a comprehensive listing of activities, duties or responsibilities that are required of the employee for this job. Duties, responsibilities, and activities may change at any time with or without notice. This position is responsible for reading and understanding the requirements of the job, assigning duties for completion, and monitoring the crew to ensure work is being completed efficiently and within quality standards. Work Environment This job operates outside in a field construction environment and is regularly exposed to outdoor weather conditions. The noise level may range from moderate to loud. 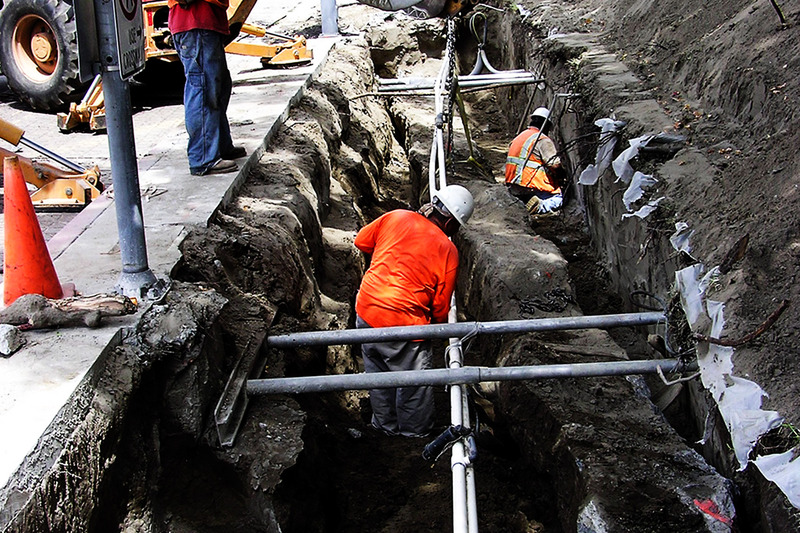 Work is performed outside of buildings and may include running cable underground. Appropriate personal protective equipment is required. Physical Demands This job has specific physical requirements detailed on the attached Physical Demands Checklist. Position Type and Expected Hours of Work This is a full-time position with the opportunity for overtime. Due to the nature of our business, there will be occasions that require working after normal business hours including nights and weekends. Desired Minimum Qualifications Graduation from High School or GED Equivalent Valid CA Driver License 1 year experience or any equivalent combination of education and experience that demonstrates the ability to do the job. Other Duties Please note this job description is not designed to cover or contain a comprehensive listing of activities, duties or responsibilities that are required of the employee for this job. Duties, responsibilities and activities may change at any time with or without notice. 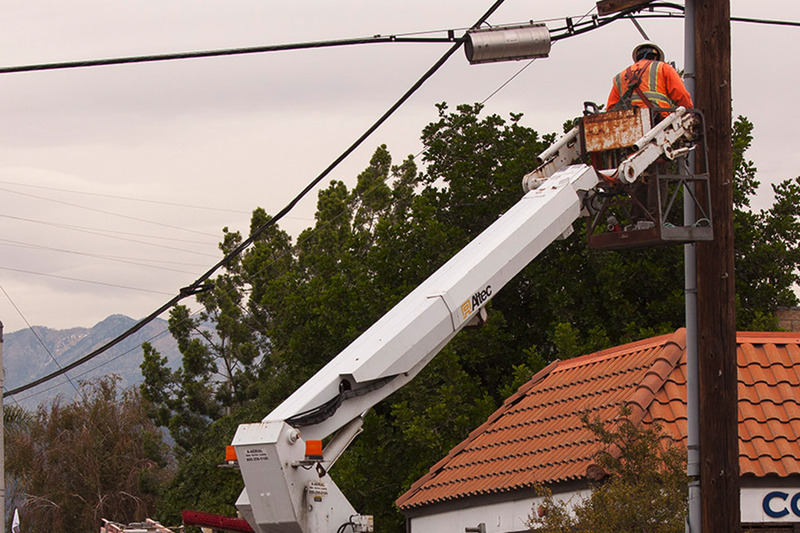 Knowledgeable of GO95 utility practices, as well as Bell System, and Verizon safe practices and procedures. Work Environment This job operates outside in a field construction environment. 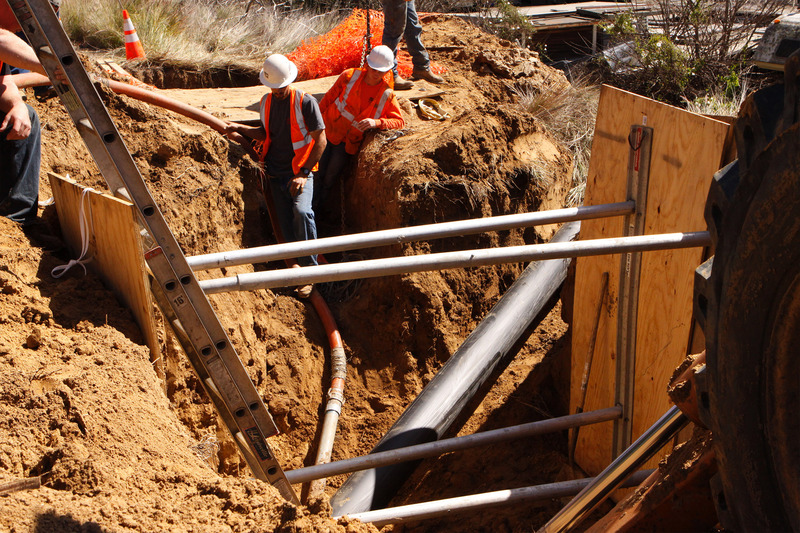 Work is performed outside of buildings and may include running cable underground. 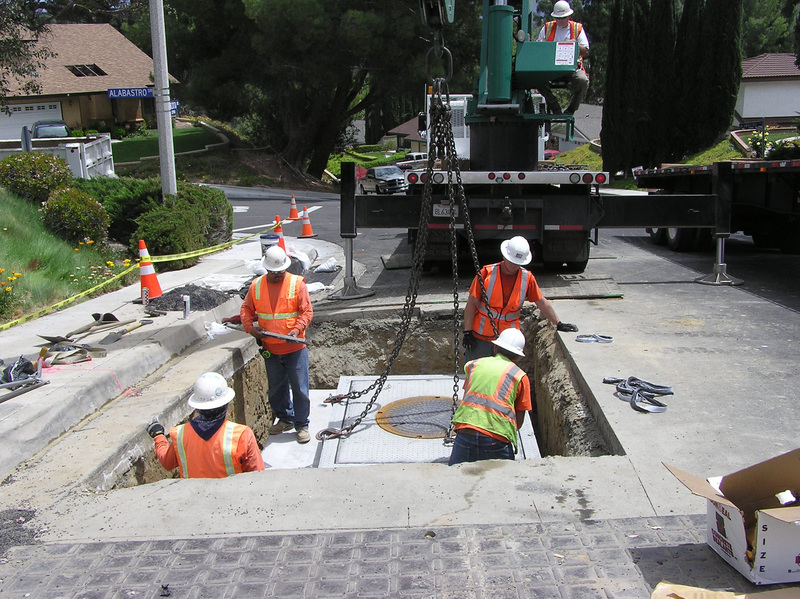 The job requires entering manholesorclimbing poles to place and/or remove cables. Appropriate personal protective equipment is required. Physical Demands This job has specific physical requirements detailed on the attached Physical Demands Checklist. Position Type and Expected Hours of Work This is a full-time position with the opportunity for overtime. Due to the nature of our business, there will be occasions that require working after normal business hours including nights and weekends. Desired Minimum Qualifications Graduation from High School or GED Equivalent Valid CA Driver License 1 year experience or any equivalent combination of education and experience that demonstrates the ability to do the job. Other Duties Please note this job description is not designed to cover or contain a comprehensive listing of activities, duties or responsibilities that are required of the employee for this job. Duties, responsibilities and activities may change at any time with or without notice.